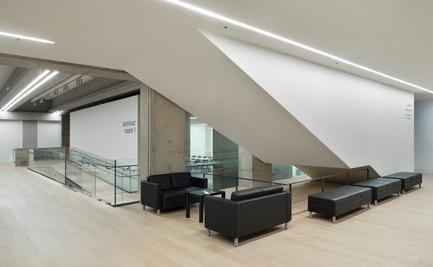 Toronto, Canada, 2012-04-25 - The transformation of the west wing of the Art Gallery of Ontario into The Weston Family Learning Centre punctuates the museum’s ambitious multi-phased renovation. 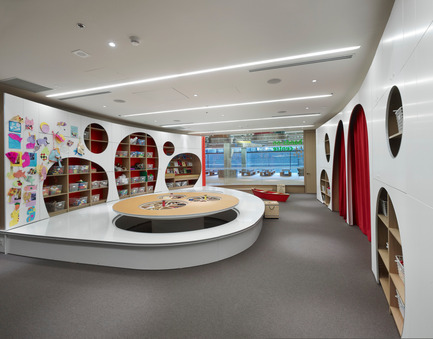 The new Learning Centre offers a major collaborative hub for community creativity and learning, while increasing the AGO’S ability to provide stellar art education for children, families, and adults of all ages. 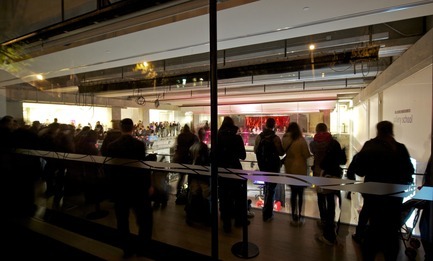 It houses a community gallery, a hands-on centre for young children and their parents, three seminar rooms, an education commons, a youth centre for young adults, and an artist-in-residence studio. 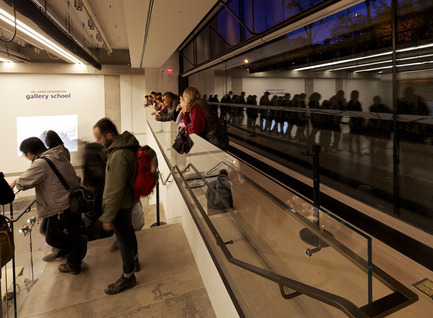 Situated on the west side of the museum at the sub-basement and concourse level, the WFLC, is a transparent teaching interface, allowing the visitors, students and the community to experience the power of art. 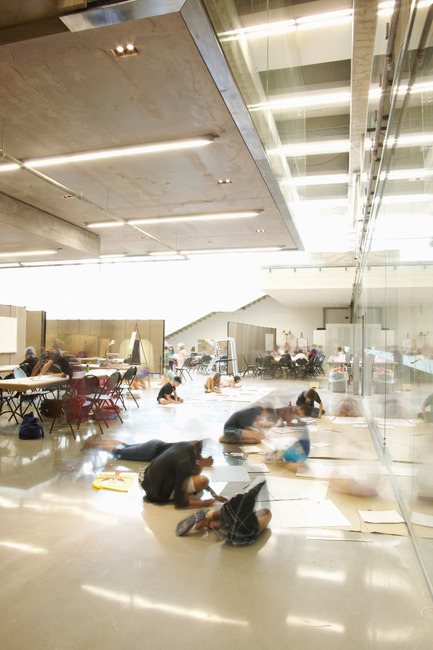 Active, hands-on, and social, the new Learning Centre is the city’s on-site and online studio for the celebration and teaching of art. 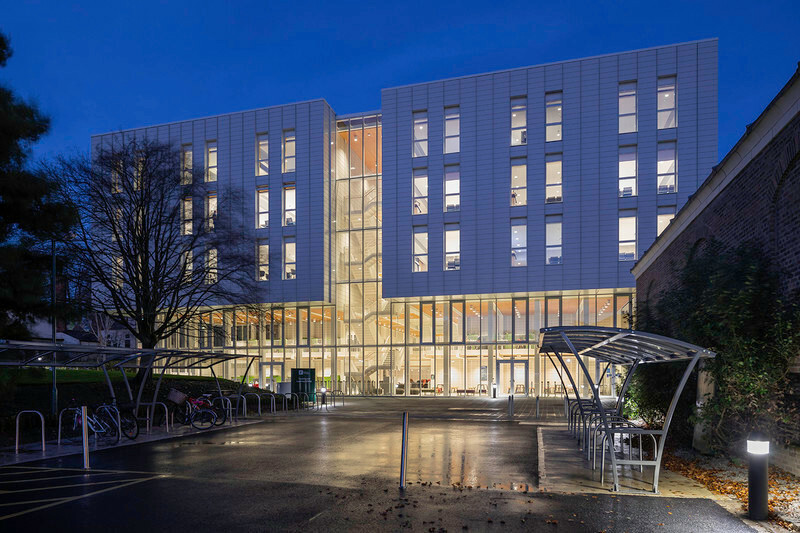 The facility, which opened in December 2011, is comprised of 35,000 square feet of distinguished spaces for accommodating approximately 80,000 students annually. 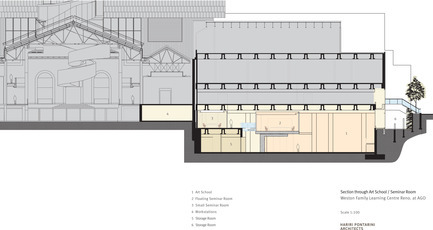 The Client’s objectives were to create a space with increased: functionality; accommodating large groups, flexibility; maximizing program opportunities, accessibility; welcoming all users, integration; offering direct connection to the galleries above, transparency; a window into the creative process. 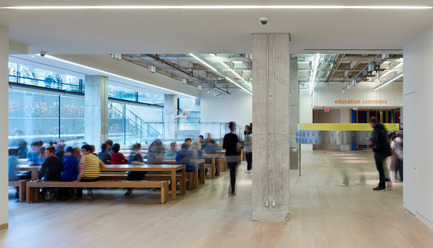 The new entrance at the corner of Dundas Street West and Beverley, welcomes students and users to the Learning Centre separate from the crowd of museum visitors. 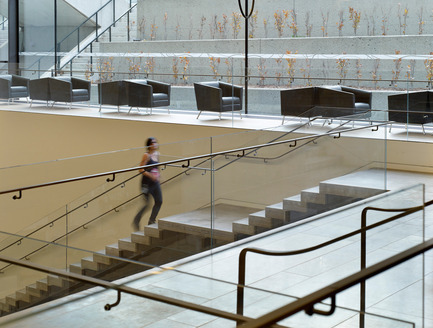 Further, the entrance is complemented by a lit staircase, featuring Evan Penny’s sculptures, leading directly to the Education Commons, where they are greeted by a light-filled central gathering space. 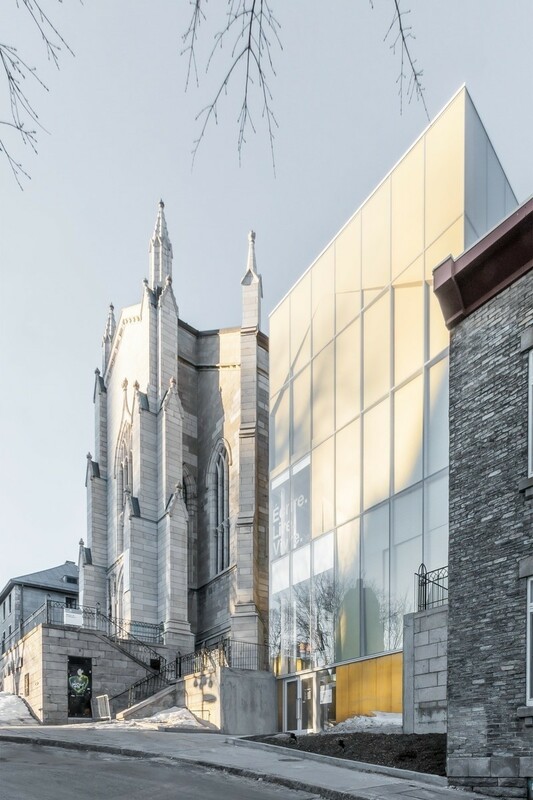 The large glazed windows run the full length of the Beverley Street façade, bringing the city into the Learning Centre and taking the Learning Centre onto the streets. 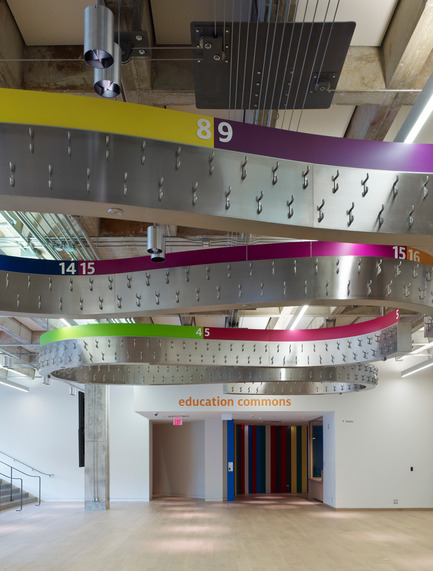 Robust and flexible, the Education Commons serves as multi-purpose space complete with a sculpted, kinetic coat rack, crafted seating and a vast view of the city activities. 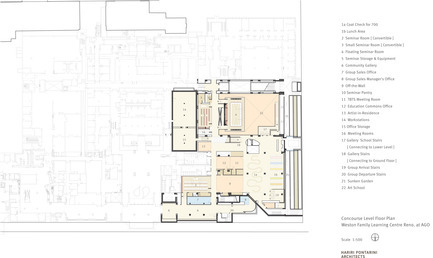 Further in, the carefully sculpted limestone walls lead to the seminar rooms, Youth Centre, administrative spaces and, ultimately, the heart of the Learning Centre: the Gallery School. 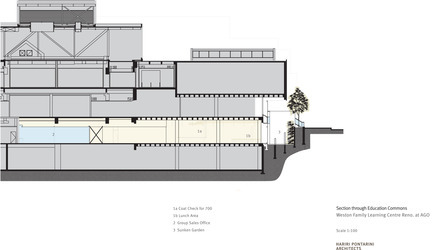 Accessible by a grand staircase cantilevered from the west wall, the Gallery School is a 6,000 square foot studio space that can be sectioned-off to accommodate various activities. 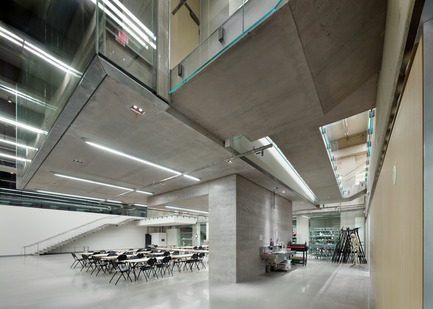 Within this space floats a cantilevered, concrete Seminar Room with glass panels that look down onto the studio, further exemplifying the transparency between spaces. 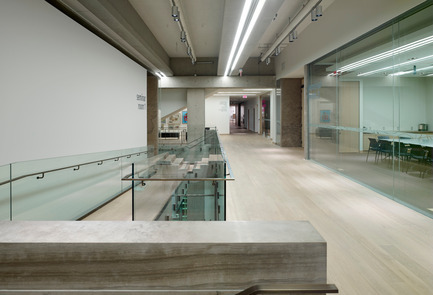 The renovation and expansion of the Art Galley of Ontario made use of locally quarried stone, high-performance glazing, as well as advanced lighting controls, which contributed to its sustainability. 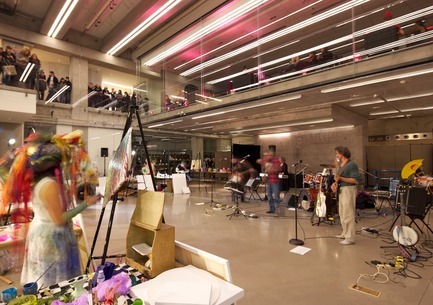 The renovations have uncovered and celebrated, significant structural elements from the John C. Parkin building expansion; namely the exposed concrete and coffered ceilings. 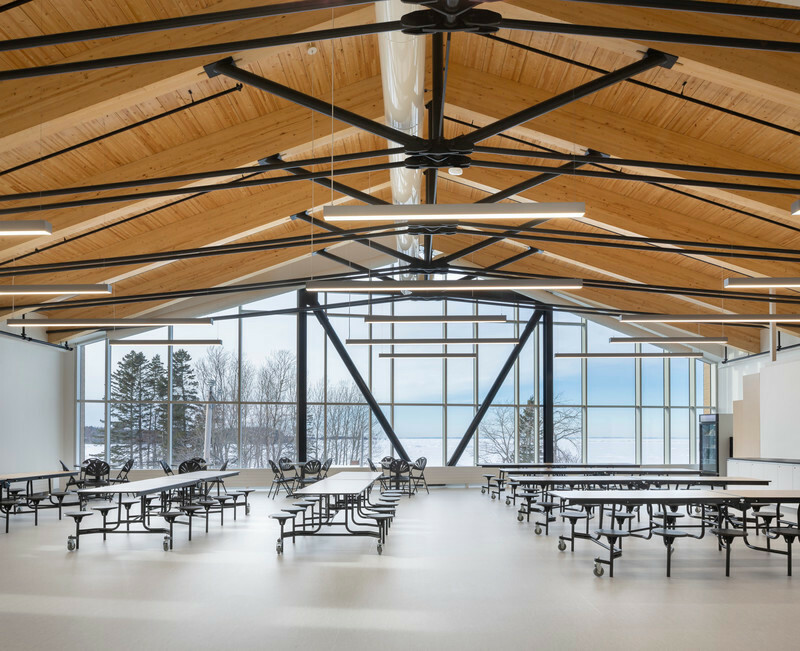 The additional materials—Algonquin Limestone, Oak, Coloured Concrete, Glass and Bronze—have been selected using local sources and are chosen for their warm and enduring qualities. 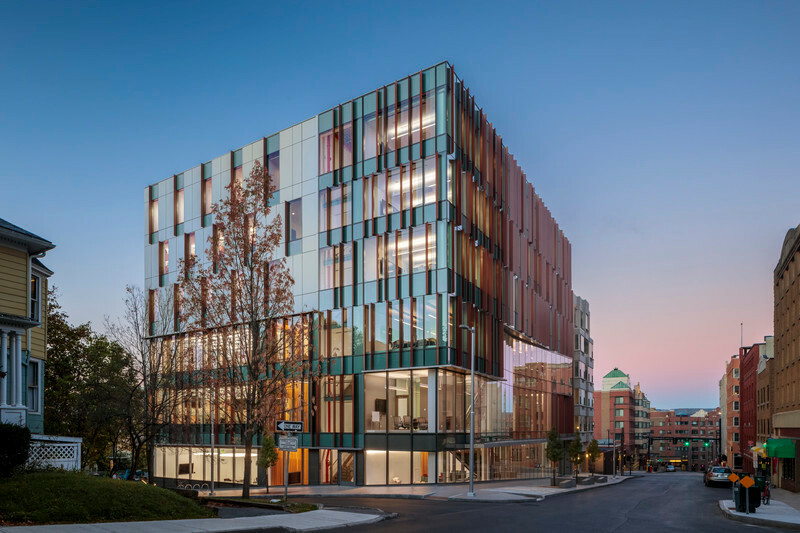 At the concourse level, the entire west façade is glazed and opens to a newly planted, tiered copper beech hedge, creating an important “Green Zone”. 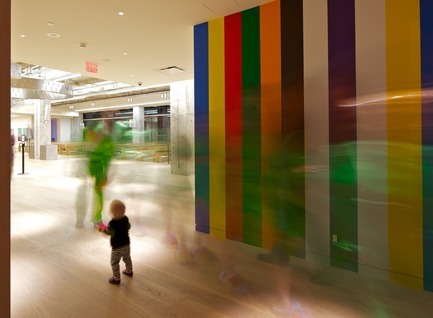 The Weston Family Learning Centre sets a standard for the teaching of art within museums around the world. 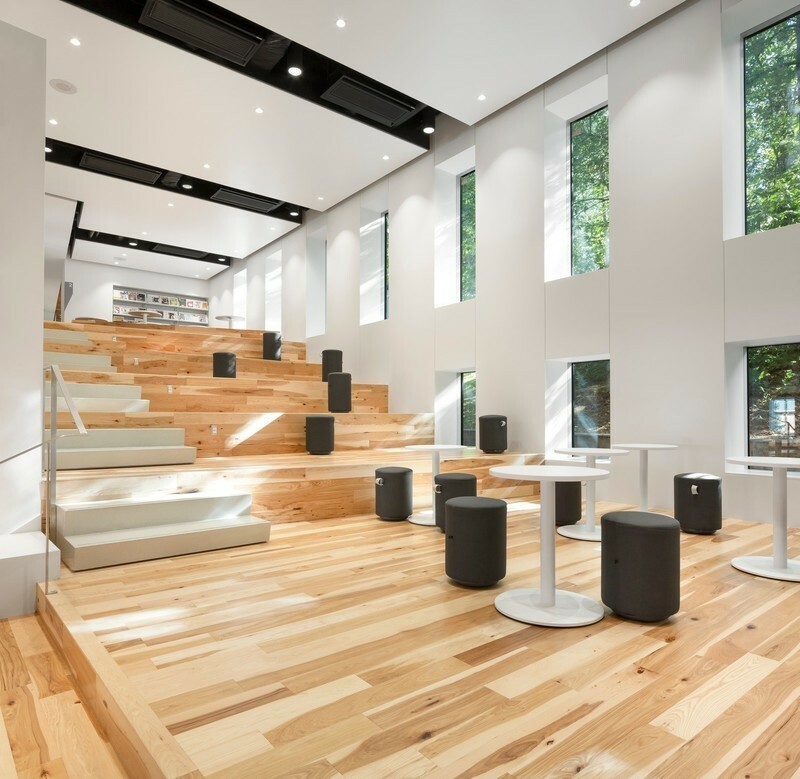 It fully integrates technology in the meeting spaces—for educational and private functions—that includes broadcast and video-conferencing capabilities. 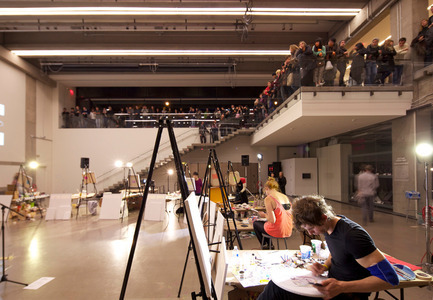 By creating direct connection to the AGO’s galleries and archives, as well as enabling visibility and transparency, the Gallery School extends a privileged invitation to the community and students to witness and learn the making of art. 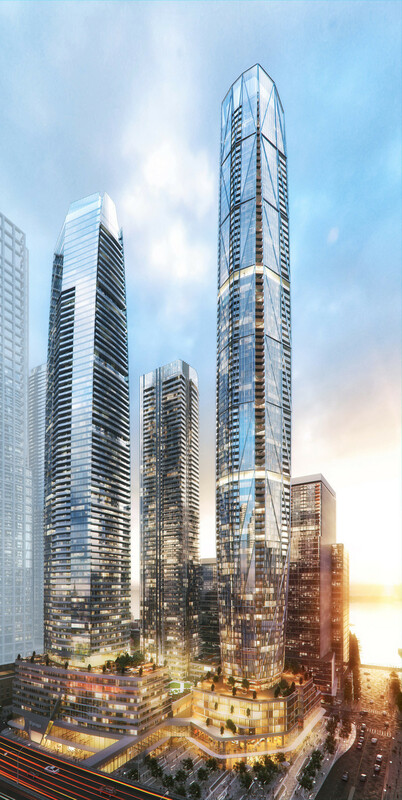 Hariri Pontarini Architects, established in 1994, is a Toronto-based architectural practice drawing on the collective skills and expertise of over 60 registered and intern architects, and support staff. HPA’s portfolio builds upon knowledge, technical innovation and the design excellence of each successive project, revealing the conception of refined architecture with crafted details. The firm, fully licensed in Ontario and a few other provinces, excels in creative design and managing complex projects within strict timelines and budgets. 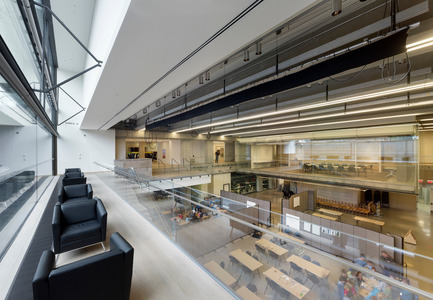 Grounded in many years of research and conceptual thinking that began with the firm’s first project for McKinsey & Company in Toronto, HPA holds a reputation for innovative design and enduring excellence. The firm’s experience spans a diverse range of sophisticated urban projects including private, public, business and institutional realms. 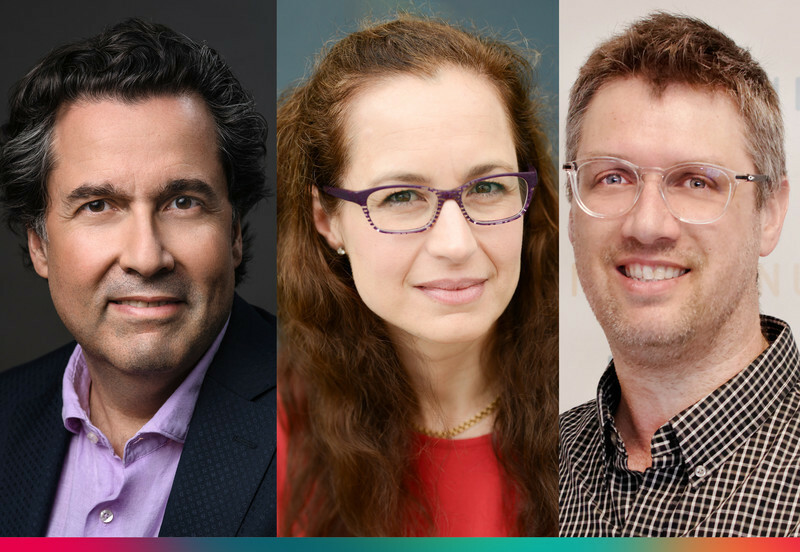 Comprised of several licensed architects, project managers, LEED specialists and visualization experts, HPA lays the foundation for what lies at the heart of a spatial experience, translating their intimate knowledge into architectural form. 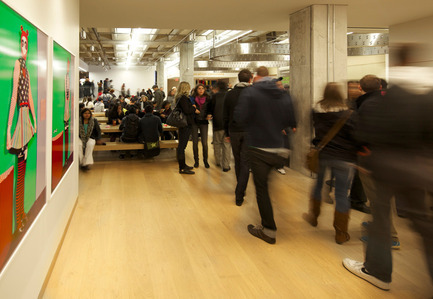 The firm’s extensive portfolio consists of a wide range of projects, including the School of Pharmacy and School of Medicine (University of Waterloo), Schulich School of Business (York University), the renovations of Princess Margaret Hospital and Art Gallery of Ontario, over 11 McKinsey & Company offices, Bahá’í Temple for South America (Bahá’í International Community), School of Economics (University of Toronto), One Bloor East, as well as numerous other high-rise residential complexes, mixed-use buildings, private homes, corporate offices and retail projects. 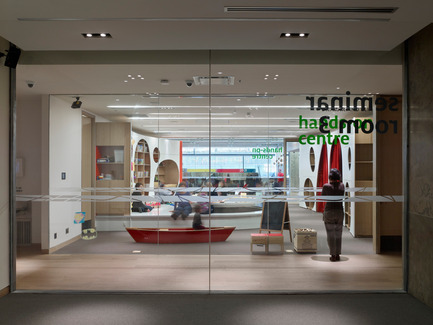 The philosophy of excellence informs every project that Hariri Pontarini Architects undertakes. It expresses itself in thoughtfully crafted components that speak of careful design and a respect for materiality; in spaces that are contemplative yet functional. Every project tells a story; it is the unfolding, in architectural form, of values and the ideas of its respective clients. 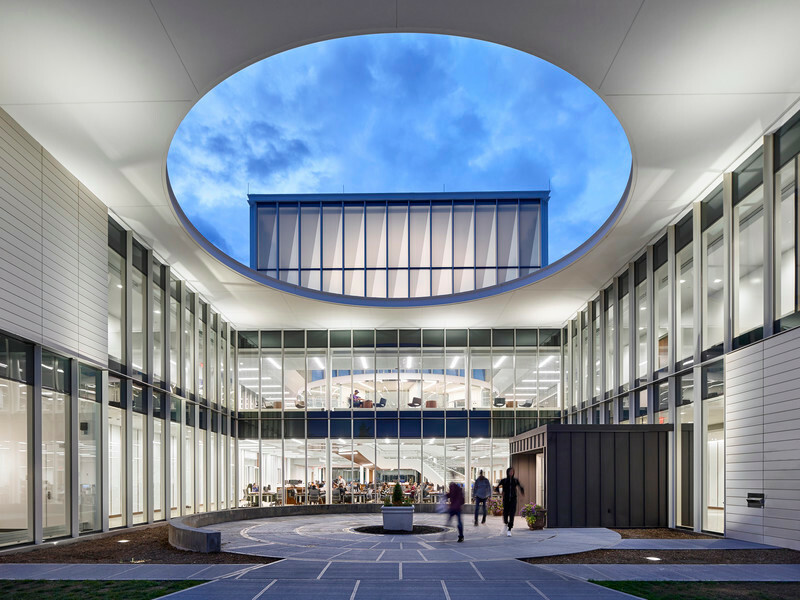 By channeling the best aspects—the very personality—of each institution into a space, HPA leverages the power of design to strengthen, to transform, and to inspire. Perhaps most significantly, this vision respects the history of venerated institutions, understanding that new architecture must honour the past while anticipating the future. HPA projects have a deep commitment to continuous full-time ‘hands-on’ involvement during construction which is essential to ensuring quality execution. Siamak Hariri, born in Bonn, Germany, was educated at the University of Waterloo and Yale University (M. Arch. 1985). 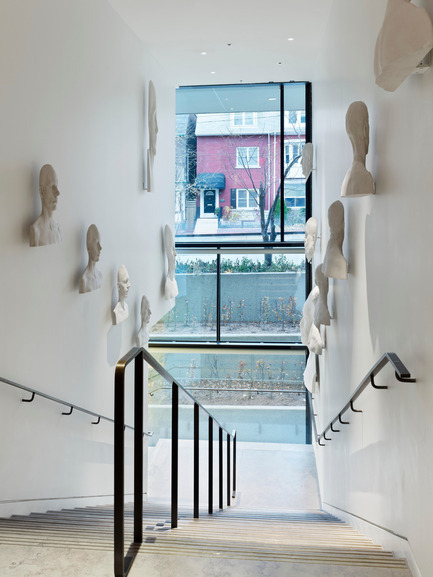 As a founding partner of Hariri Pontarini Architects (1994), Siamak has been internationally recognized as one of Canada’s leading architects. 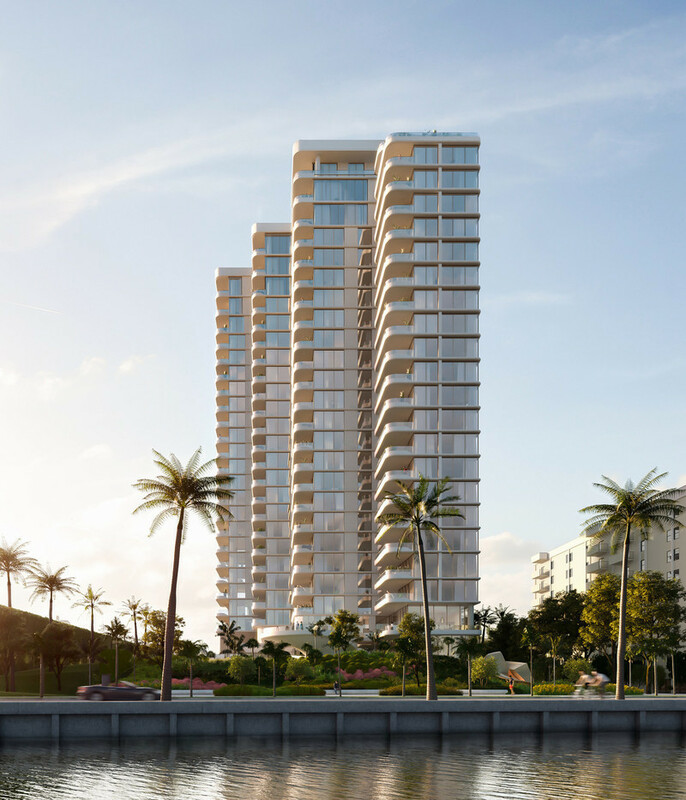 For more than ten years, Siamak has not only directed the firm’s competition-winning schemes, but also has been the Partner-in-Charge of projects garnering over 35 national and international awards of excellence in architecture. 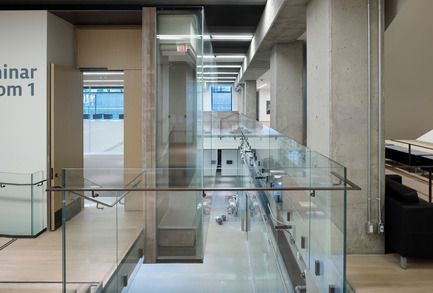 His internationally-acclaimed projects include the McKinsey & Company Toronto Headquarters at the University of Toronto’s Victoria Campus on Charles Street (the youngest building to ever receive heritage landmark designation by the City of Toronto); and the award-winning Art Collectors’ Residence. Siamak was the 2006 recipient of the Governor General’s Medal for the Schulich School of Business and Executive Learning Centre at York University, and was the PARTNER-IN-CHARGE of the award-winning MacLaren Art Centre in Barrie; the School of Pharmacy at the University of Waterloo; the Michael G. DeGroote School of Medicine at the University of Waterloo; and the Max Gluskin House Department of Economics at the University of Toronto. He is currently the Partner-in-Charge of the international competition-winning Bahá’í Temple for South America in Santiago, Chile; the renovation and addition of Weston Family Learning Centre at the Art Gallery of Ontario; the international competition-winning Richard Ivey School of Business at the University of Western Ontario; the North American competition-winning Faculty of Law at the University of Toronto, and the expansion of the French language institute, Alliance Française de Toronto. Siamak Hariri’s projects have been published extensively both in Canada and internationally and are featured in various books and publications around the globe. 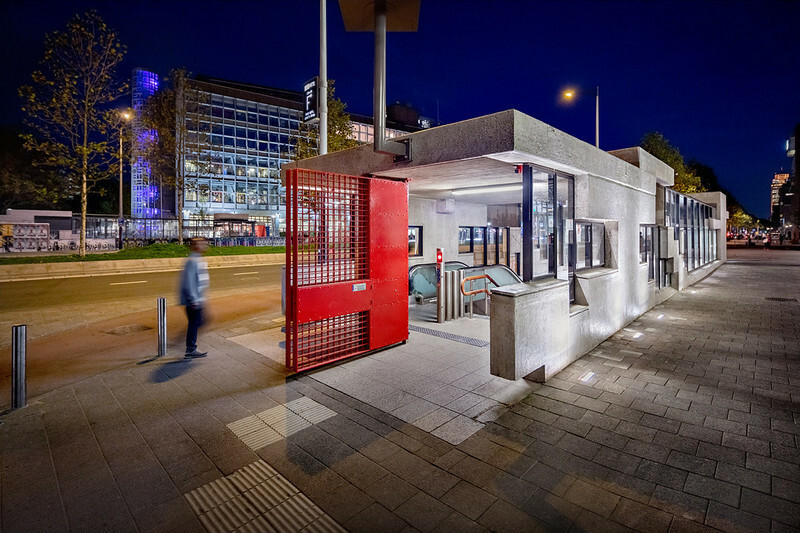 As an architect and critic during his career, Siamak has also taught at the University of Toronto’s Faculty of Architecture, Landscape and Design, as an adjunct professor. 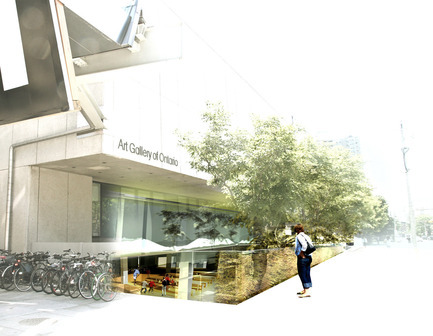 He sits on the boards of the Royal Ontario Museum’s Institute of Contemporary Culture, the Toronto Art Council, the Toronto Community Foundation and the Waterfront Design Review Panel. Siamak has also lectured and participated as a juror extensively across North America and Europe.